Whaaaa? I'm knitting on needles? Nope, not quite. I just transferred my loom-knitting over to the sticks. I'm working on a new collaborative project with my Saturday Nuts for Knitting friends. Here's how it works. 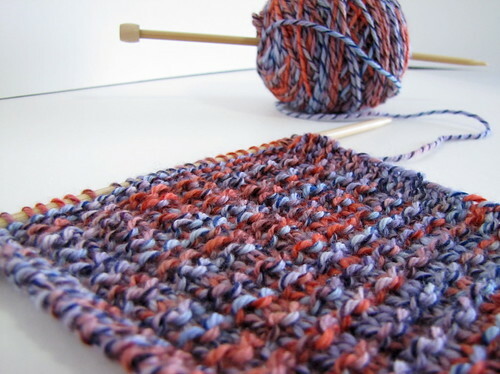 We each start a scarf with our choice of stitch count, pattern and yarn. Then we trade our squares every Saturday and add onto a friend's scarf. That step times 10 equals an almost-complete scarf returned to original owner, who then knits the last square and binds off. My patchwork scarf will be bursting with my friends' personal touches of style every 6 inches. They are mostly using a worsted weight yarn with size 8 needles so I will be working with my DA Looms Adult Hat extra-small gauge (ESG) loom. 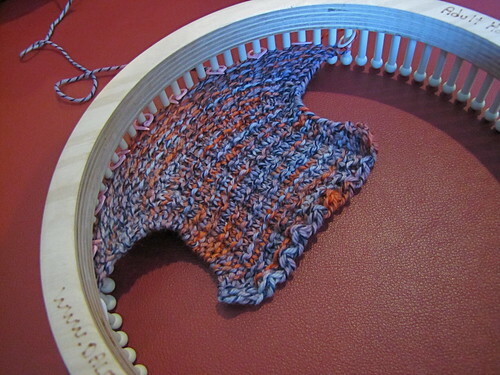 I just have to add that extra step of switching over my loomy swatch for my needle-knitting friends. Here's a tip if you ever have to transfer from the loom to needles for your own reasons. 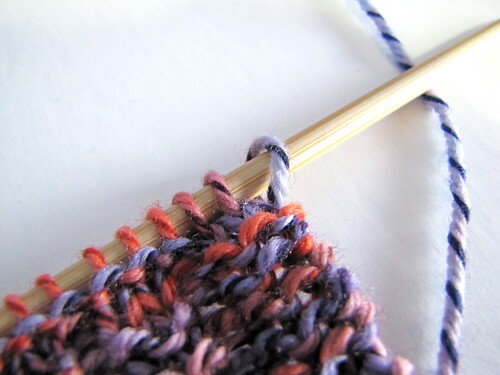 Unless you're using double-points (DPNs), make sure you start from the opposite side of your working yarn. When you transfer your loop to the needle, the right side of the loop should be in the front (the right side) and left side of the loop should be in the back. 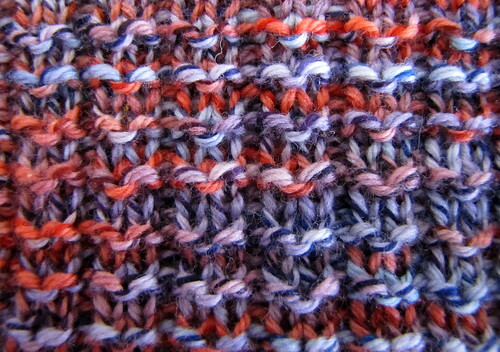 For me, I had to remove the loop and enter the front of the stitch so it wouldn't twist. 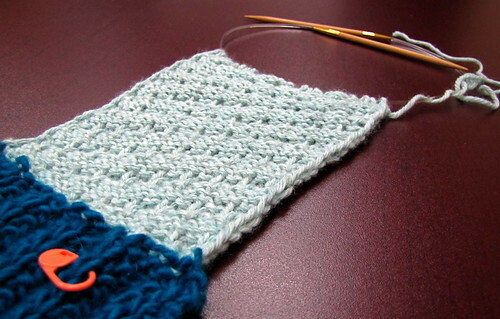 Thanks to my friend, Zoe, for helping me understand how stitches should rest on needles! 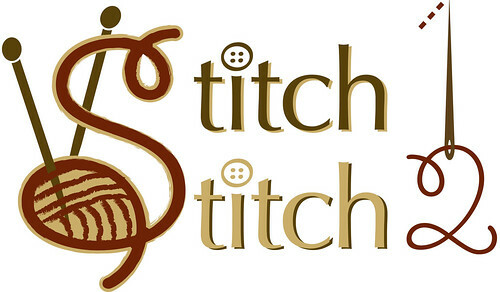 This collab will be a great opportunity to try some out some new stitch patterns. The first one up was the Pique Rib 1 stitch. Worked on a multiple of 3 stitches. For my scarf, I cast on 28 stitches and added a 3-stitch garter border on each side plus a P1 at the start of each row pattern after the garter. 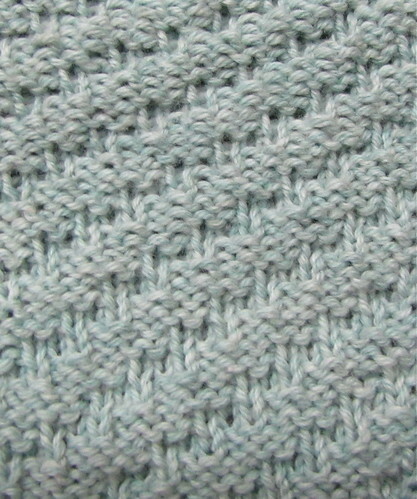 You can also check out the swatch over at Loom Knitting Central's blog. Our minds were thinking alike last week. 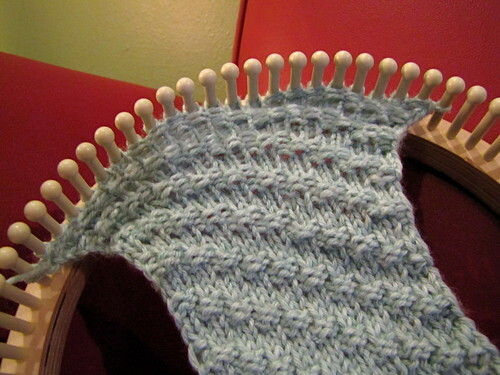 I *should* have weekly updates of stitch patterns as our scarves grow. I've cast on a diagonal rib for square 2/10 so stay tuned!